Banpresto has announced a new Ichiban Kuji featuring all new The Legend of Zelda products. 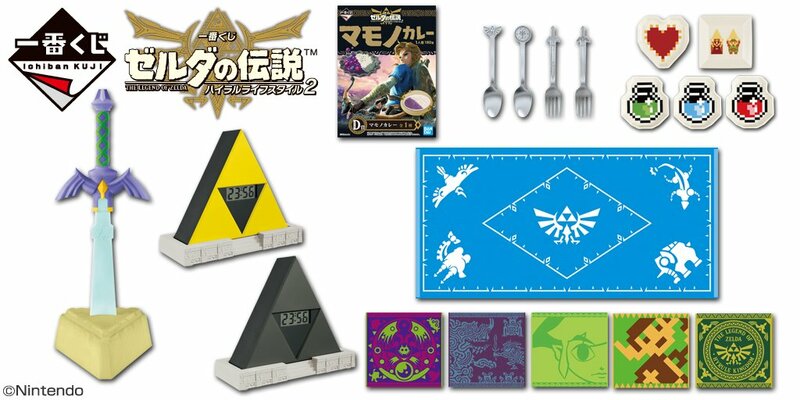 The new Ichiban Kuji is called The Legend of Zelda: Hyrule Lifestyle 2. It’ll launch on October 6, 2018 at 7-Eleven, Ito Yokado, and GEO locations in Japan. One lottery ticket costs 620 yen and you never know what you’re going to get.